-- Outfit her for the season with a new dress or two from Blush by Us Angles. 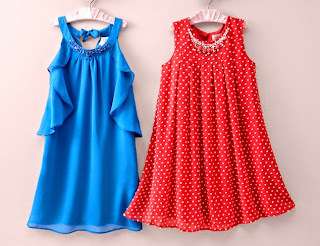 Featuring breezy maxi dresses, delicate polka dot styles and ruffle-enhanced designs, this collection is perfect for the little fashionista in your life. Just add cute sandals and a cardi for cool nights and she’s got instant spring-ready style. MyHabit is a private fashion sale site offering up to 60% off hand-picked selections from designer and boutique brands. Founded by Amazon.com, MyHabit sets a new standard in convenience, offering free, instant membership; fast, free shipping on U.S. orders as well as fast $25 international shipping to 50+ countries.